Hey good people and happy Wednesday! Thanks for all of the love on my toddler boy gift guide last week. 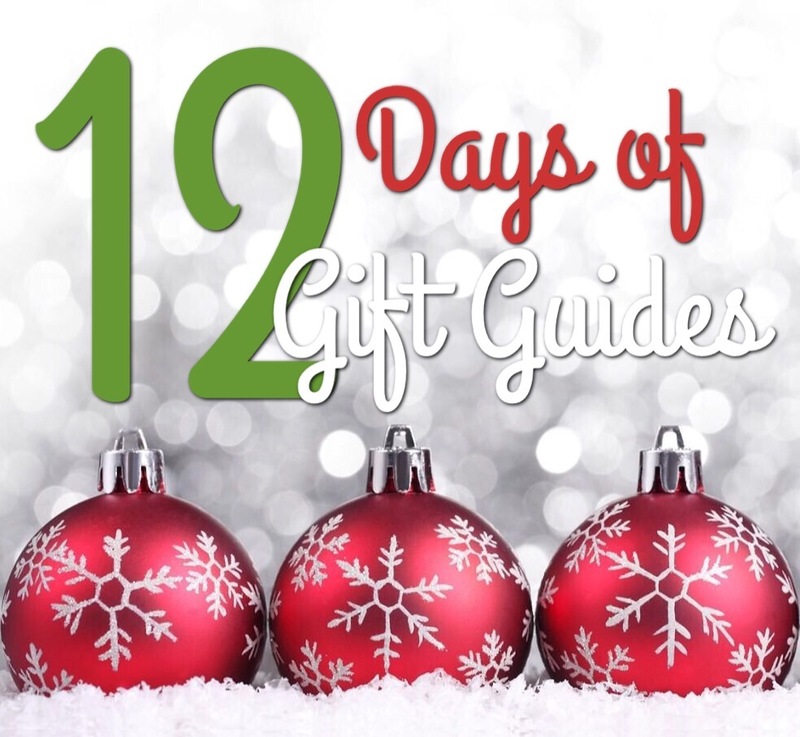 Have you seen the posts from the others participating in the #12daysofgiftguides listed below? 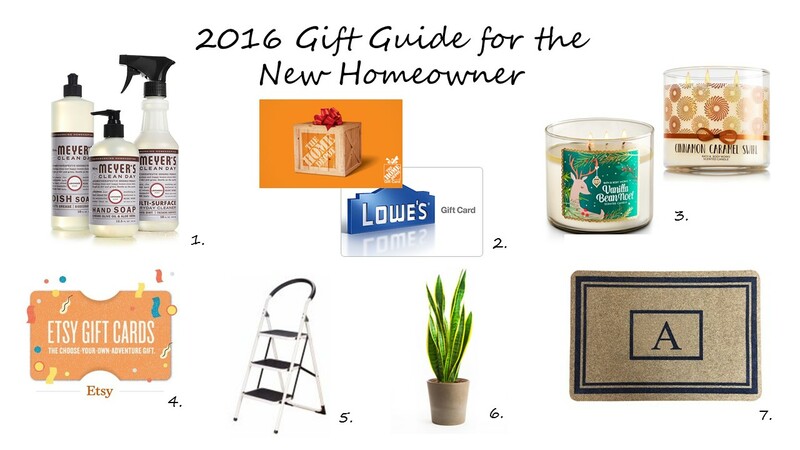 Today, I’m back with a gift guide for the new homeowner! Although, I became a homeowner a little over 5 years ago, I can clearly remember the things that were helpful to me, also things that would have been helpful! 1) Mrs. Meyers Kitchen Set : Cleaning supplies are a must! Even better that these are 97% naturally derived. 3) Bath and Body Works 3-Wick Candles These candles are super fragrant and last a long time. They come in a awesome variety of scents as well. 4) ETSY Gift Card: Etsy is a site full of vintage and homemade goods. Lots of items to pick from that is sure to have something even for the pickiest of homeowners. 5) Step Ladder: I can’t stress the importance of one of these. As a new homeowner you spend lots of time climbing, and if you were anything like, standing on the counter-top to either change bulbs or clean the very top of something, or trying to hang something. This ladder is the perfect companion. 6) House Plant: I highly recommend something that won’t die easily. This snake plant is virtually indestructible in my opinion, but there are certainly others that are pretty hard to kill. 7) Monogram Door Mat: What says “I own this” better than a doormat with your initials. They are simple enough to compliment any home exterior, yet make a big statement upon entry. So there you have it. If you know of a new homeowner, or maybe you are one yourself, I hope these gift ideas inspire you! Thanks so much for stopping by. Don’t forget to check out the other posts linked up below. Also, don’t forget to check out Lisa’s post from yesterday with the ultimate gift guide for toddler girls and Alaya’s post specifically for the girl boss! I so need that step ladder and I've had my place for 5 years! These are all great ideas! thanks Alaya! The ladder is a MUST HAVE!! Great new homeowner gift guide Erin! Now why haven't I thought of getting a step ladder. I need one! Lol Darnetha. Well at least you know about it now! I highly recommend having one.